It is not uncommon for me to ask almost everyone that has a greyhound, "What is the most important impactible health issue for your greyhound?" Someone that doesn't know me may stop to think about it for a moment and, since I'm always so busy, I am quick to supply the answer rather than wait. Your greyhound's mouth is its #1 impactible health issue. Dental health is not as simple as going to the veterinarian for annual shots or an occasional bath, or feeding the correct food. It requires intervention from you, the greyhound adopter. There are different levels of intervention. Taking a finger brush, a gauze pad or even your finger, and running it through your greyhound's mouth after eating will certainly get the muck out. Putting additives in your greyhound's water will help to kill bacteria in its mouth. 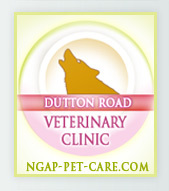 Coming to NGAP three times a year and having your dog's teeth cleaned may be the easiest way, but certainly, brushing your dogs teeth at least once a day after that cleaning will have the most significant impact. Doing all of these things is a sure fire way to keep from coming in with a dog whose mouth you can smell from the other side of the room and that needs extractions. Someone recently brought in a non-greyhound last week and was shocked by both the bill and the number of teeth that we took out - eighteen! She felt much better after a chat, knowing that her dog was better-off without those teeth. It's not only greyhounds that have dental problems, Unfortunately, the veterinary community either doesn't pay enough attention to them or doesn't have the appropriate skills to handle them. A couple of our long-time adopters adopted Italian Greyhounds from an Italian Greyhound rescue, brought them to us for dental work and were surprised that the rescue really hadn't done their job. We extracted thirteen teeth from one dog and 10 from the other. Another greyhound adoption program just across the river routinely adopts greyhounds that will find their way to us if they are lucky. 15-20 extractions later, the dogs will finally start feeling good. 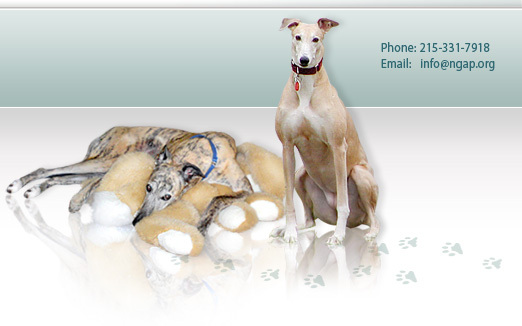 A couple came to us in-clinic with their two older greyhounds. One was 11 and the other was 12. It was their first time here and they were 'NOD', or 'Not Our Dogs'. Between the two dogs, the couple would have had to spend $1500.00 to fix all of their dental problems. One of the dogs was also having neurological problems from time to time. The couple chose to do nothing because they could not afford it, even when given terms. I truly felt sorry for those two dogs, because unlike cancer, where the finality is often soon, if your dog has bad teeth, it will suffer forever until those teeth go. 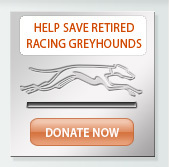 Most of the health issues on our website deal with a greyhound's mouth and rightfully so! If you learn nothing else from our website, learn to pay attention to your dogs mouth. You will notice a distinct difference in how your dog acts and feels after having 15-20 extractions done. Even as a novice, you will see that your greyhound has more energy, will be more anxious to take walks, run, play, will jump into the car again and will have a better appetite. It will do countless things that it hasn't done in so long and it will give you such pleasure to watch it feeling good again. And all you had to do was take out a bunch of teeth! I have long said that extractions are good, not bad. We should change that to read, 'Extractions are really good!' The decision to take teeth out should be easier than the decision of whether or not to amputate your greyhound's leg. Taking teeth out and maybe spending $500 to $1000, will give you much better results than a leg amputation and/or chemotherapy and all the pain that goes with it, that may well cost $10,000. Pay attention! This is the greyhound that you love so much!